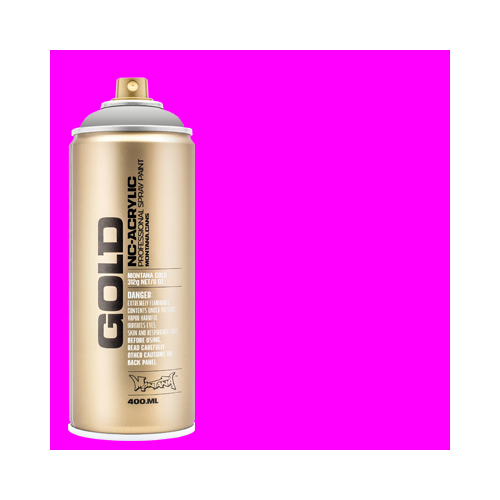 Montana GOLD spray paint is renowned for it's brilliant fluorescent colors that not only radiate by day, but also glow warmly by night under UV light. 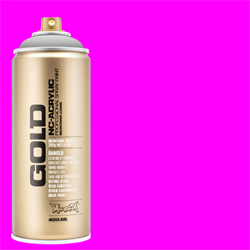 Easy and clean application is achieved thanks to the much loved low pressure valve system as with the whole Montana GOLD range. Highest quality made in Germany!